Country Acres Child Development Center exists to promote the development of children into competent, moral adults, capable of maintaining healthy relationships, enjoying work, achieving goals and contributing to society. To meet this purpose, Country Acres CDC fosters physical, cognitive, social, emotional, moral and spiritual development. We accomplish this by providing a safe and nurturing environment, reasonable and consistently enforced limits, planned and purposeful activities, and relationships with adults who are committed to the children’s well being. Our Preschool program meets the Texas Prekindergarten Assessment Guidelines. *The guidelines provide a means to align the Pre-kindergarten program with the Texas Essential Knowledge and Skills (TEKS) requirements for Texas public schools. 420 N. Old Decatur Rd. or Download forms, available on this website, and deliver completed forms to Country Acres CDC. 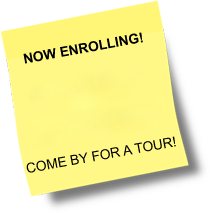 Enroll Now! Spaces are limited! Country Acres will follow the inclement weather policy for the Eagle Mountain-Saginaw ISD.